Scientists at the John Innes Centre have discovered an important component in the process of nitrogen fixation in plants. They have identified a key protein that facilitates the movement of calcium in plant cells. This movement of calcium signals to the plant that nitrogen-fixing bacteria are close by and triggers the development of nodules on its roots to house these bacteria. Nitrogen is the most abundant gas in the atmosphere and legumes are able to take nitrogen out of the air and incorporate it into their cells. This is possible because legumes have developed a symbiotic relationship with a particular type of soil bacteria that are housed within their roots. These bacteria take up (or 'fix') the nitrogen and pass it to the plant in exchange for sugars and other nutrients. This function enables legumes to grow with less nitrogen fertiliser. Professor Giles Oldroyd leads a research group at the John Innes Centre that aims to transfer the ability to fix nitrogen to other types of plants, like wheat or barley. This would increase growth and yield for these crops – particularly in developing countries where farmers have less access to nitrogen fertilisers. It has long been known that the interaction between plants and bacteria depends on movement of calcium in plant root cells. This movement of calcium takes place in the central nucleus of plant cells. New research from the John Innes Centre lead by Dr Myriam Charpentier and Professor Giles Oldroyd discovered a set of critically important proteins, called cyclic nucleotide gated channel 15s (CNGC15s), which are essential for the movement of calcium into the nucleus. They found that the CNGC15s facilitate the calcium movement into the nucleus allowing the plant to transfer the information that the nitrogen-fixing soil bacteria are nearby. This enables the plant to initiate the cellular and developmental processes that facilitate bacterial accommodation, allowing establishment of the nitrogen-fixing symbiosis and thus nitrogen fixation. Although this calcium movement is limited to the nuclei of plant cells, it has a large impact on how the whole plant will grow. 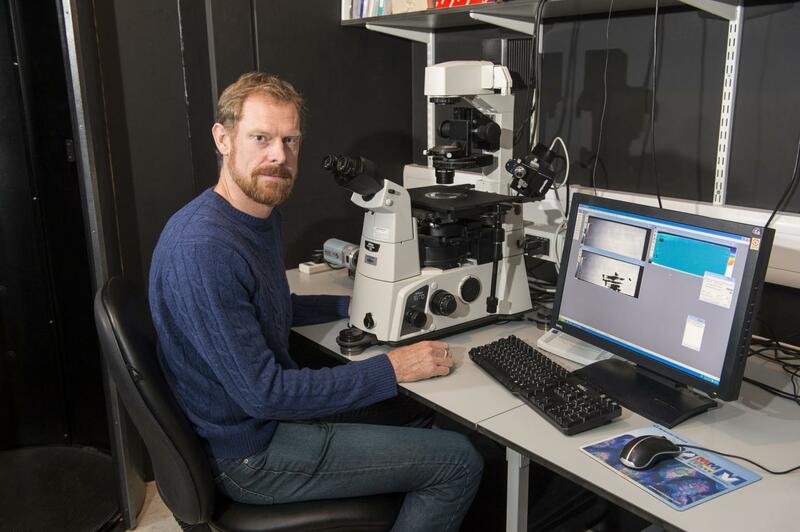 Professor Oldroyd said: "This discovery demonstrates that there is a CNGC protein located at the edge of the nucleus in plant cells which controls the movement of calcium into the nucleus. This is an important step towards understanding nitrogen fixation in legumes and this understanding will help us to develop more efficient crops." Dr Charpentier said: "Although the presence of nuclear calcium signals in plants was demonstrated more than a decade ago, the exact identity of the nuclear calcium channel has remained a mystery. This research identifies the first nuclear calcium channel in plants. Calcium signalling is not only important for symbioses but also for many other processes happening in the plant during development and in response to the environment. Knowing the identity of the nuclear calcium channel will now enable us to better understand how plants use nuclear calcium signals to grow and respond to their environments." This research is published today in the journal Science. It was carried out in partnership with the University of Montpellier in France and was supported by the Biotechnology and Biological Sciences Research Council (BBSRC) and the European Research Council.